Sinister Cloth is a key component when crafting Death Stench armor in Monster Hunter: World. One item many Monster Hunter: World players have been wondering how to get is Sinister Cloth. In Monster Hunter: World, Sinister Cloth is a rare Material that cannot be carved from monsters. Because of its rarity, Sinister Cloth is known for being difficult to acquire. To help, we’ve put together a quick guide on how to get Sinister Cloth in Monster Hunter: World. Send your Palicos out on a Tailraider Safari to get Sinister Cloth in Monster Hunter: World. When learning how to farmSinister Cloth in Monster Hunter: World, it’s worth noting that Sinister Cloth cannot be carved from monster corpses. Additionally, Sinister Cloth isn’t available in end game areas like Elder’s Recess. One of the only ways to get Sinister Cloth in Monster Hunter: World is by running through Tailraider Safari missions. To start a Tailraider Safari mission, head to Astera and locate your personal sleeping quarters. Then, talk to your Housekeeper and select the Tailraider Safari option. Here, you can send your Palicos off on different safaris. Choose one of the safari options, then select a region in Monster Hunter: World to send your Palicos. 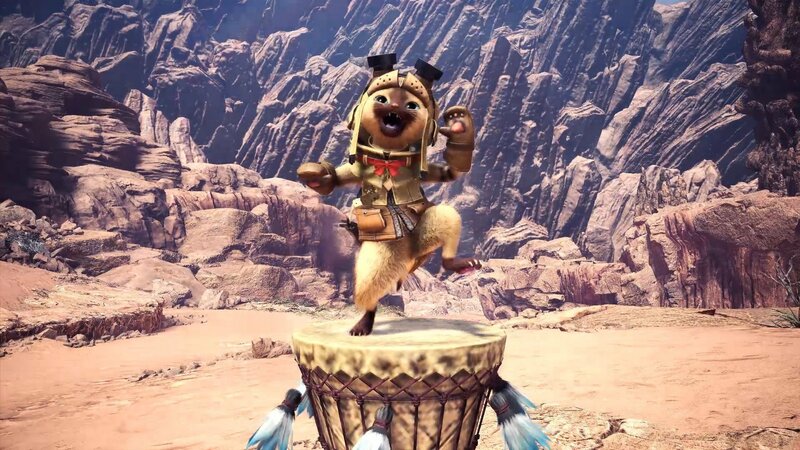 Additionally, you’ll need to designate what task your Palico should complete while out on safari. Note that regardless of task (Hunting, Research, Gathering) you’ll have a chance to get Sinister Cloth. While it’s not a guarantee that you’ll get Sinister Cloth considering the fact it’s a rare drop, the Tailraider Safari option is currently one of the only ways to get Sinister Cloth. So, be sure to send your Palicos out on safari as much as possible to up your chances of getting Sinister Cloth in Monster Hunter: World. For those unfamiliar with why Sinister Cloth is needed, high level Death Stench armor pieces require Sinister Cloth to craft. As such, it’s worth sending your Palicos out on safari even if they don’t immediately come back with Sinister Cloth. By running through the Tailraider Safari missions in Monster Hunter: World, you’ll be able to get Sinister Cloth. For more on Monster Hunter: World, be sure to check out some of our previous guides including how to get Aetheryte Shards in Monster Hunter: World, how to find and harvest Coral Bone in Monster Hunter: World, and how to mount monsters in Monster Hunter: World. By reading through this guide, you should now know how to farm Sinister Cloth in Monster Hunter: World.